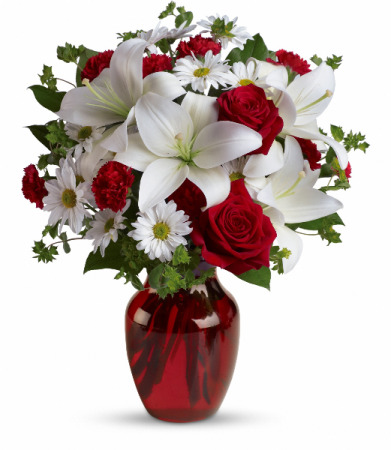 This vase arrangement is a beautiful combination of white lilies, red roses, white daisies, and greens. 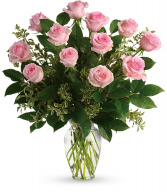 This stunning vase arrangement of a dozen pink roses will impress your special someone. Whether you're celebrating the birth of a child, kindness of a friend, the closing of a business deal or showing appreciation... Celebrate any occasion or brighten any day of the week with a colorful bouquet of fresh flowers! Don't they deserve a day that's all about them? Call Fettig's Flowers or order online today.